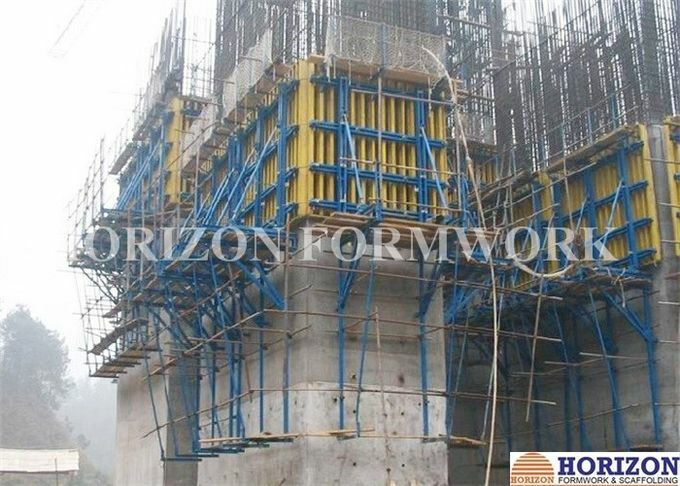 Climbing Formwork CB240 is a crane dependent climbing system and support structure widely used to pour high walls. It performs as a loading-bearing platform as well as a safe working platform. Finishing platform: for removing the climbing cone, polishing concrete surface etc. Anchor system: should be pre-fixed into the formwork and left in the concrete after pouring. 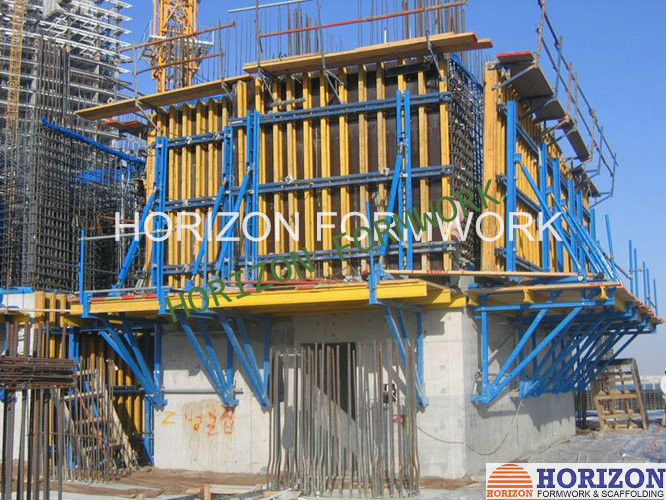 Formwork: can be moved horizontally, vertically and tilted to meet site requirement. Finishing platform: there is an access to the main platform by using a safety ladder.